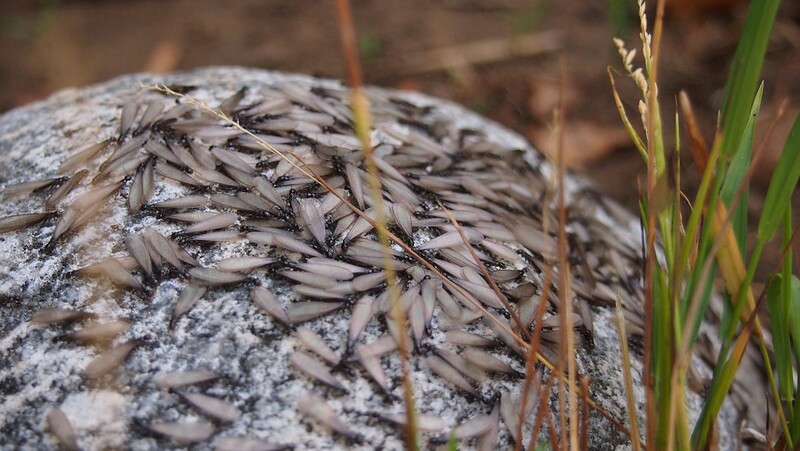 To the uninitiated, it can be a bit disconcerting to see a termite swarm suddenly flying about or moving along the ground seemingly from out of nowhere, but winged groups such as this that emerge from beneath the soil — while indicative of a colony’s presence — are relatively harmless, usually dying before getting the chance to do any damage. Should a swarm such as this materialize directly from a structure, it’s probably best to get inspected. This entry was posted on Wednesday, October 26th, 2011 at 3:22 pm and is filed under animals, nature, seasonal. You can follow any responses to this entry through the RSS 2.0 feed. Both comments and pings are currently closed.